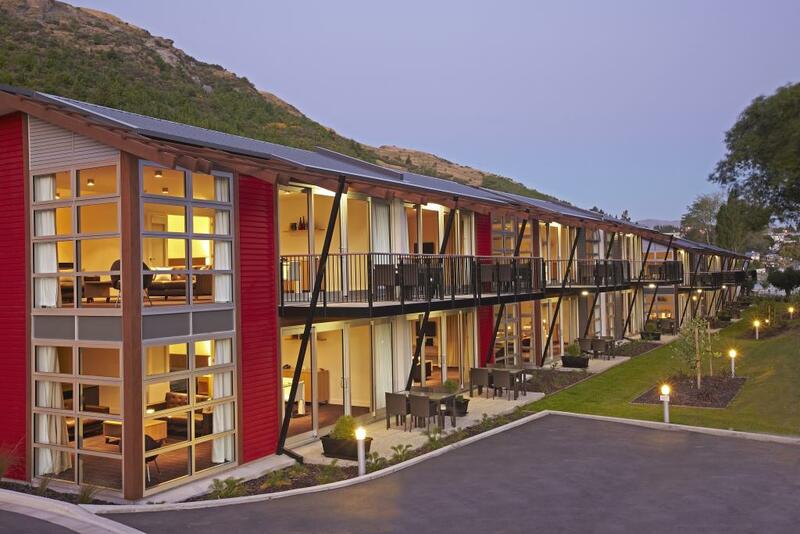 Mantra Marina is ideally located on the edge of Lake Wakatipu in the scenic Queenstown in New Zealand, just a 4 minute drive from the town centre. 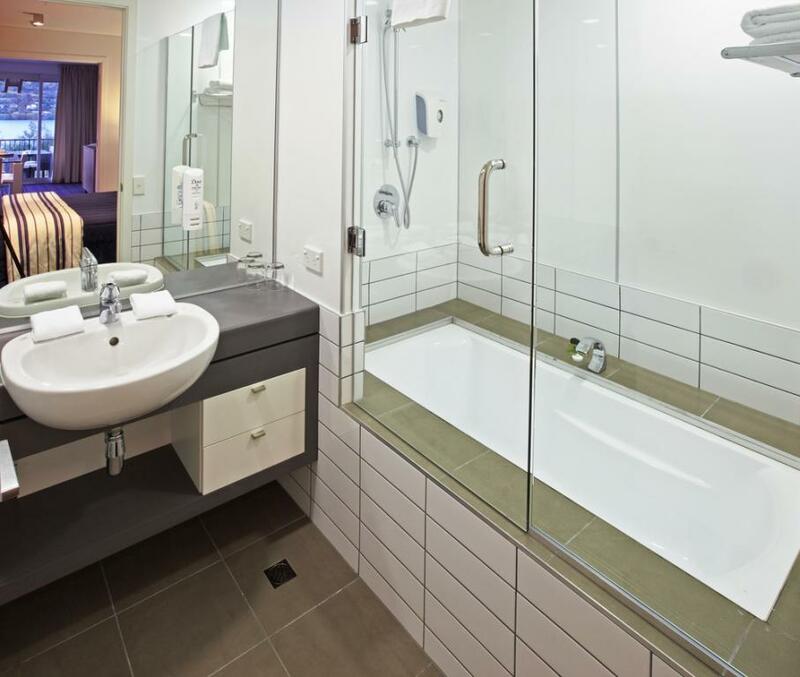 This self catering accommodation is within close proximity of a range of adventure activities, the airport, wineries, shops and cafes. 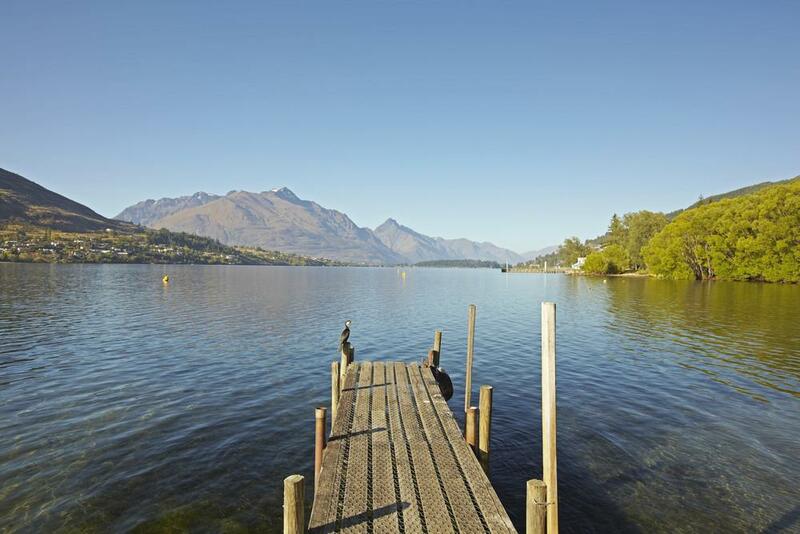 Queenstown has so much to offer, you can have a relaxing day in Queenstown by the lake, or head up the mountain to Skyline where there are breathtaking views or for the adventure type why not spend the morning jet boating on the Shotover River or Bungy jumping off a bridge, the options are endless. 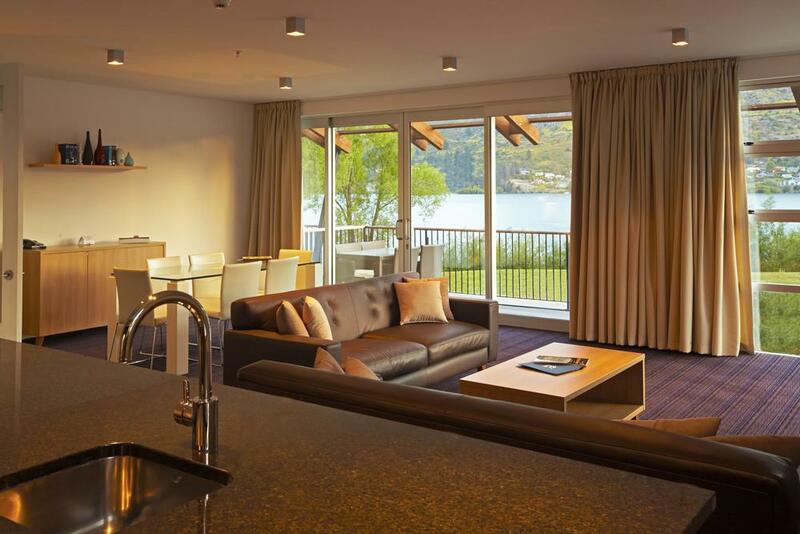 This Queenstown accommodation offers both hotel style rooms which are perfect for a one or two night stay, or for a longer stay, the self contained apartments, some of which boast stunning views over the lake and to the surrounding mountains. 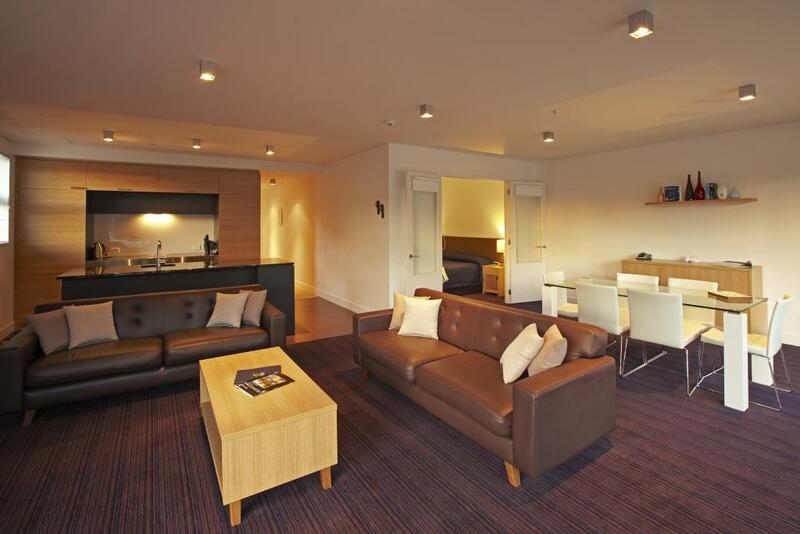 Complimentary car parking and WiFi internet is available, making your stay just that bit easier. 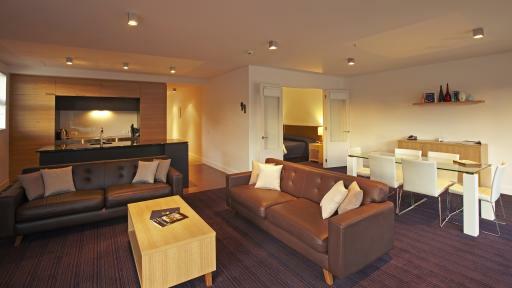 Whether you are in Queenstown for a sightseeing holiday or a New Zealand Ski trip, Mantra Marina will have a room suitable for you. 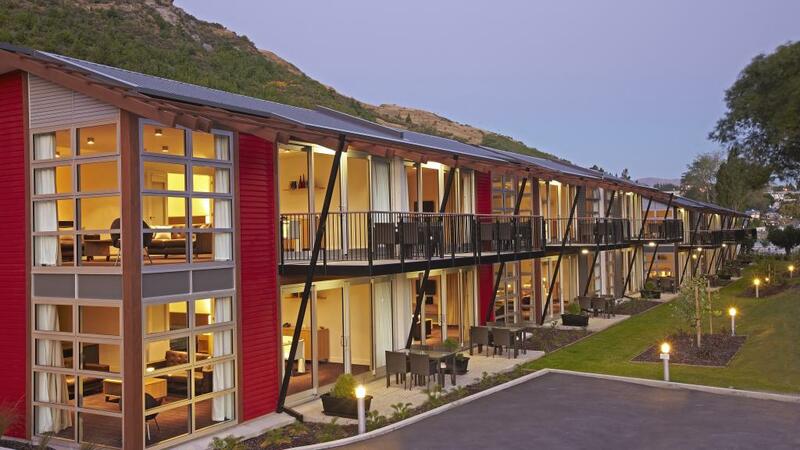 Mantra Marina offers hotel style rooms which are ideal for a short stay in Queenstown, along with 1, 2 & 3 bedroom apartments that offer full kitchen facilities, great for families and groups travelling on a self catering holiday to New Zealand. 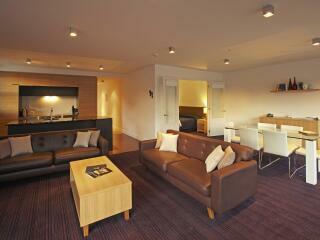 1 Bedroom Deluxe Apartment: Features a private balcony with mountain views. Bedding is 1 King Bed. 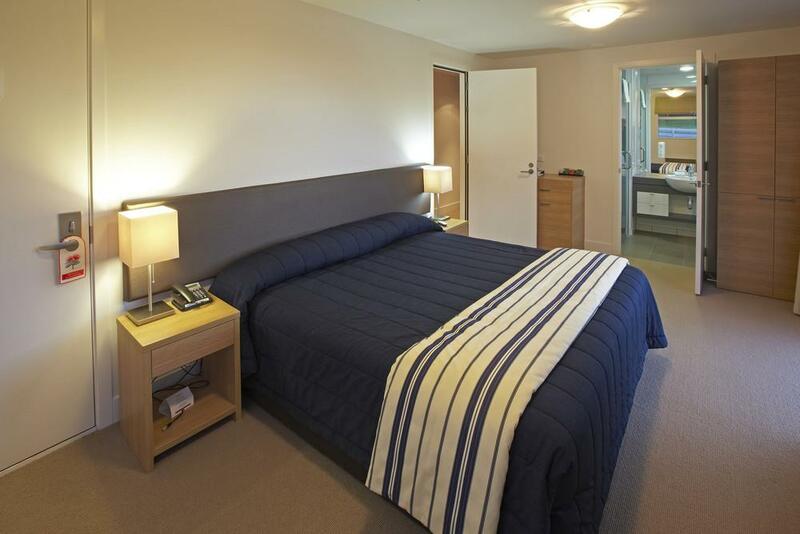 1 Bedroom Deluxe Lakefront Apartment: Situated right on the waters edge with extensive lake and mountain views. Bedding is 1 King Bed. 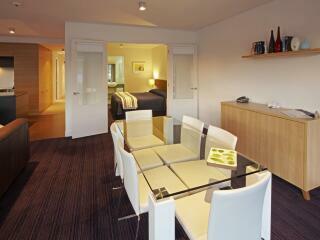 2 Bedroom Deluxe Apartment: Ideal for a small family. Bedding is 1 King Bed + 2 Single Beds. 2 Bedroom Deluxe Lakefront Apartment: Situated right on the waters edge with extensive lake and mountain views. Bedding is 1 King Bed + 2 Single Beds. 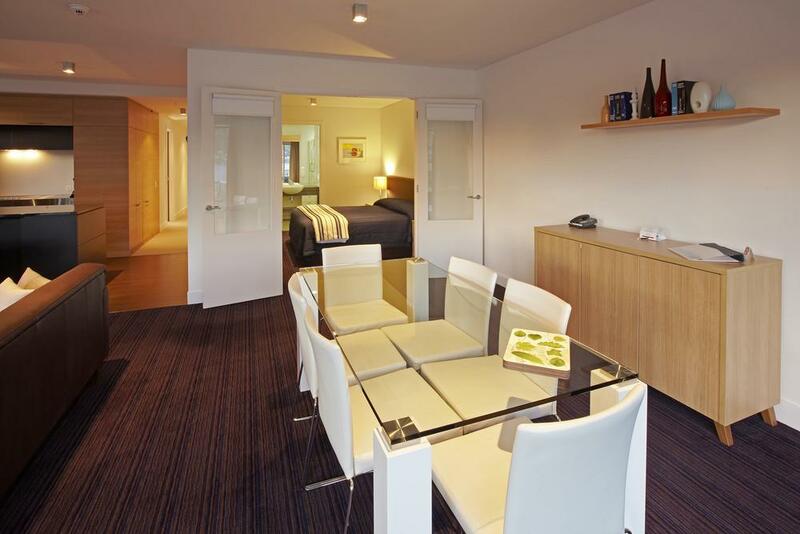 3 Bedroom Deluxe Apartment: Great for larger families or small groups, this apartment offers plenty of space for all guests. 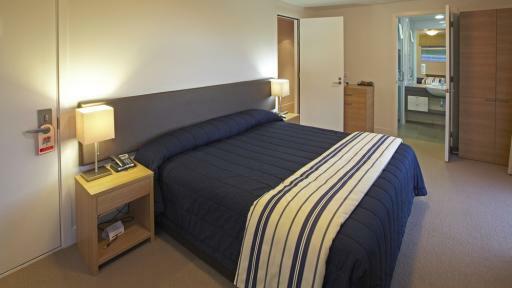 Bedding is 2 King Beds + 2 Single Beds. 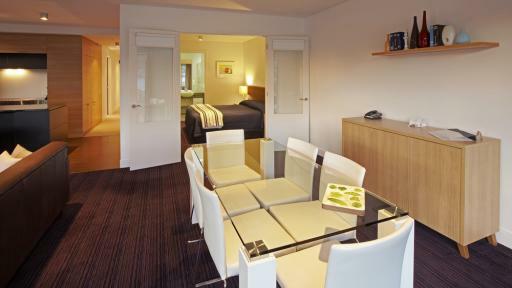 Hotel Room: Ideal for short stays, this room offers modern furnishings and resort views. Bedding is 1 King Bed. 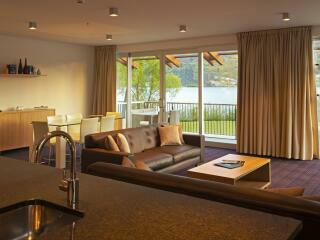 Hotel Room Deluxe: These rooms feature partial lake views. Bedding is 1 King Bed. 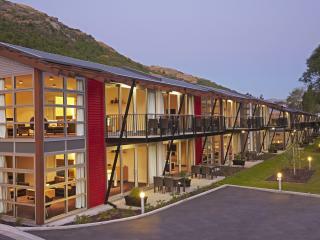 Apartment was located just about 4 km's from Queenstown. 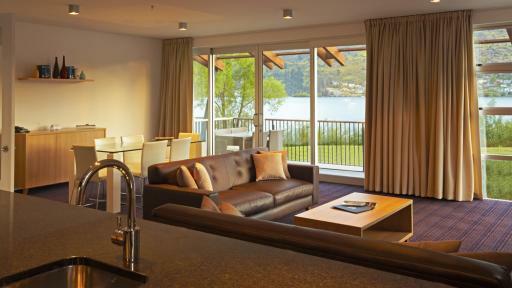 Apartment had a beautiful lake view and a vehicle hire company right next door (which saved us about $500). 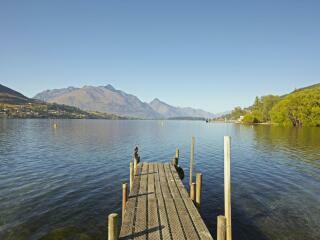 Great view of the Remarkables (mountains) too. A little light on for cutlery - only 1 teaspoon! 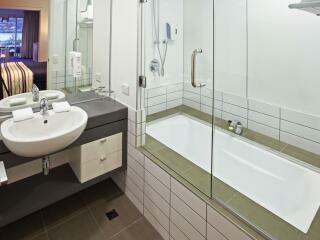 But otherwise well equipped, working dishwasher etc. Nice warm room. Staff friendly and available.